Thirteen people, including a 3-year-old boy, were wounded in a spray of bullets at Cornell Square Park, in Chicago's south side Back of the Yards neighborhood. The most seriously injured was Deonta Howard, known by family as "Tray-man." He was hit in the head by a bullet and taken to Mount Sinai Medical Center where he was listed in critical condition. In addition to Mt. 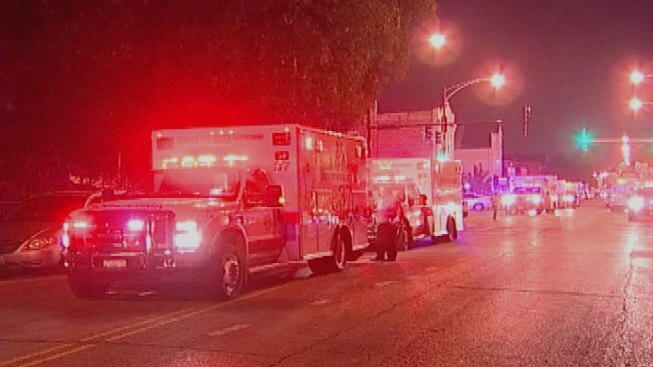 Sinai, victims were taken to Holy Cross Hospital, John H. Stroger Jr., Hospital of Cook County, Northwestern Memorial Hospital, Saint Anthony Hospital and Little Company of Mary Hospital.